The automotive awards season is just revving up and the Motor Trend Truck of the Year is certainly one that gives bragging rights to a manufacturer. There are always those who disagree with the jury, and this year will be one of those when people will try to second guess them, but no one can say that they were not of a single mind. 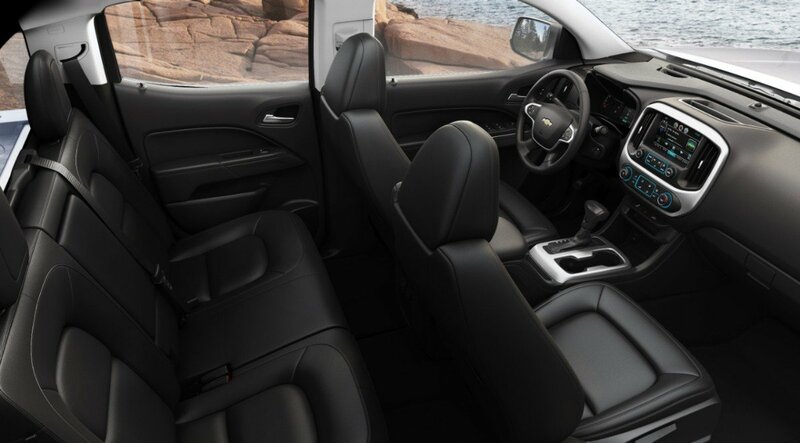 The panel unanimously named the 2015 Chevrolet Colorado as truck of the year, upsetting the 2015 Ford F-150, which came in third. This is after the Ram 1500 and its diesel brother were named two years in a row, shutting out GM’s new-for-2014 Silverado and Sierra trucks. There were 10 qualifying vehicles in the field: the Colorado (in two versions), 2015 Silverado 3500HD, the F-150 (in both EcoBoost configurations), the Ford F-450, Ford Transits A(two configurations), GMC Canyon and GMC Sierra Denali 2500 HD. I am a sucker for mid-size trucks and after a decade-long drought in terms of activity, the new Colorado is a breath of fresh air. It isn’t that the Toyota Tacoma and Nissan Frontier weren’t fun to drive, but they are both old in terms of styling, features and fuel economy; so, it was particularly exciting for me when General Motors announced that it was reviving the segment with new mid-size trucks with both Chevy and GMC nameplates. I have not been disappointed and, since my preference is the Colorado over the Canyon, I applaud Motor Trend’s decision. There is a range of accessories, a 4G hot spot, and numerous integrated features that make this a mid-size for today. At first glance, it might have seemed odd to design, engineer and build new trucks in a relatively small segment (about 270,000 vehicles annually today) where a single manufacturer — Toyota — dominates the market with a 60+ percent market share. 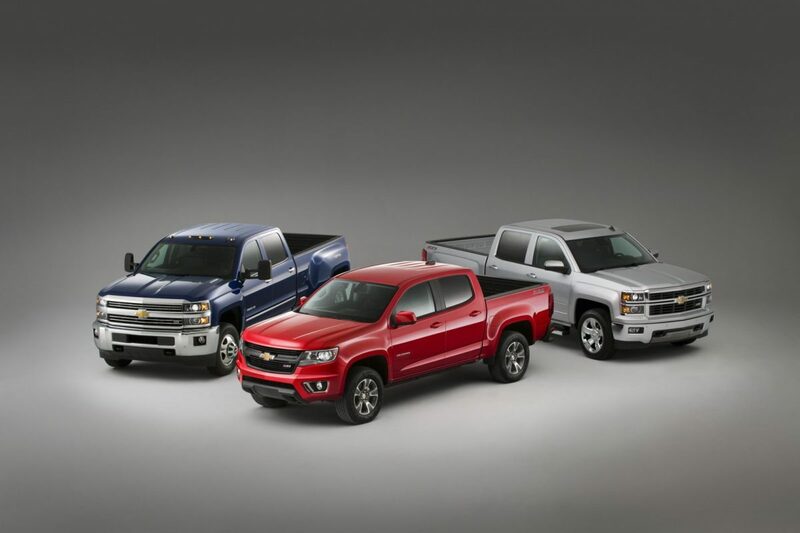 GM, it appears now, may have been crazy like a fox, with two trucks that are versatile, attractive and very capable. They are the right size for a large percentage of truck users and lovers, and both fuel efficiency and pricing are enough to make many full size truck buyers check them out if they can live with the lower tow capability. At a time, for example, when a fully loaded GMC Sierra or its competitors can sell for up to $50,000 and (frequently) above, the similarly decked out 2015 GMC Canyon tops out at about $38,000, and the award-winning Colorado is about $8,000 less at the top of the line. It will fit in your garage, and a diesel version is slated for 2016, if you can wait after driving one of the current gas models, although the gas entry is a fine mpg competitor, and best in its class. The interior reflects great attention to detail. At the Los Angeles Auto Show, Chevy highlighted a Colorado ZR2 concept that features a 2.8L Dur5amax diesel engine which — I suspect will be available across the Colorado/Canyon lineup. It has an estimated 181hp and 369 lb.-ft. of torque. It is mated to a six-speed transmission. If it is on-schedule and impresses the judges, it might make the Colorado eligible for 2016 contention, much as the Ram 1500 was in both 2013 and 2014. The LA concept also features some other unique characteristics. The stance is 4″ wider than the production Colorado. There is a new front and rear facia design to increase the approach (30.7 degrees) and departure (22.7 degrees) angles when off-roading. Ground clearance and rough terrain are managed with a 2″ lift and skid plates. For lovers of vehicle history, Chevy first introduced the ZR2 in 1994 on the S-10 pickup and added it to the S-Series Blazer in 1996. It did not get discontinued until 2003 on the S-10 and 2005 on the Blazer. If I were a betting woman, I would say that this new ZR2 could be a special edition for 2016. Both Toyota and Nissan have very capable off-road mid-size trucks that act as halo vehicles in their offering. At present, however, neither offers a diesel. 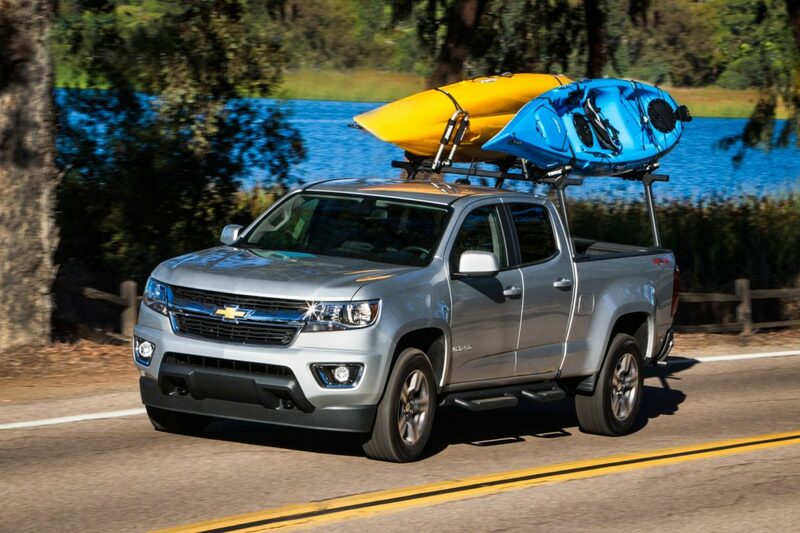 The Chevy Colorado easily won its category in October’s Texas Autowriters Truck Rodeo, and I am willing to prognosticate that, barring any unforeseen hiccups, the two GM mid-size entries will be game changers, and that GM’s three-truck strategy (mid-size, full-size, heavy duty) could pay off in a big way. If I were a betting woman, however, I might put my money on the F-150 for North American Truck of the Year, awarded at the Detroit Auto Show in January. Of course, with the Motor Trend upset, I could be totally wrong. I have been lucky enough to have had a good bit of seat time in both the Colorado and Canyon at the national product launch, at the Texas Truck Rodeo., and on week-long driver experiences over the last month. Both of the former events included towing, off-road driving and on-road exercises, and I have shared my first drive impressions with you. The two one-week drives were more for evaluating the new trucks in conditions that mimic a daily driver. Both performed extremely well, and I would enjoy owning either myself — especially with the 2.8L diesel as the power plant. The Truck of the Year award is not chosen from a direct comparison against the other contenders. Instead, each of the contenders are rated on testing performance against six criteria: design advancement, engineering excellence, efficiency, safety, value and performance of intended function. The judges are select Motor Trend editors. The magazine’s test team tests for 0-60 mph and 1/4-mile acceleration, 60-0 braking and maximum lateral grip — all with and without payload or trailered load. An identical payload was then added to each truck and van and the vehicles were driven 250 miles to the Arizona/Nevada border to evaluate ride quality and loaded fuel economy. For further assessment, including an instrumented test to simulate passing capability while carrying a load, the Davis Dam in Bullhead City, Arizona, served as the test site. A proving grounds locating was utilized for instrumented acceleration tests and trucks/trailers were also driven through a short handling course. A 21-mile loop of the Hualapai Mountains in Arizona was the final test. After the test team does its work, the same trucks are shipped to Motor Trend’s headquarters to go through mpg testing in real-world conditions. It has unquestionably been a tough year for GM and many questioned the decision to resurrect its mid-size lineup at a time when neither of its two biggest pickup competitors (Ford and Ram) had made the decision to steer clear. Even with a groundswell of interest in Ford bringing the Ranger — sold internationally — to North America, choosing instead to stick with the F-150 and Super Duty trucks, here. Ram was also focusing on its 1500 vehicles. The decision to offer mid-size trucks has now been vindicated, but the trucks haven’t been in the market long enough to test their marketability. One can only guess that they will make a dent in the Toyota Tacoma’s massive market share and in Nissan’s much smaller one. Those two are definitely feeling the heat, with Toyota introducing its 2016 Tacoma in an unexpected intro at the Detroit Auto Show. Nissan has been touting its probable Cummins diesel engine on an upcoming Frontier. They will not be introducing it in Detroit, however, since they are showing the new Titan there and at the SHOT show in February.